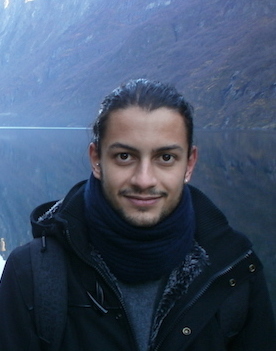 Valentino Di Donato is a Postdoctoral Researcher at the Department of Engineering of Roma Tre University. His research interests are in the area of Information Visualization, with particular focus on relational data (i.e., graphs and networks). He defended his Ph.D. thesis in Computer Science and Automation in May 2017 and he received the "Laurea" Bachelor degree, and the "Laurea Magistrale" Master degree from the same institution in 2013 and 2010 respectively. He is currently advised by Prof. Giuseppe Di Battista. RIPE Network Coordination Centre in Amsterdam (the Netherlands), working in the Research and Development Department, until September 2013. Valentino Di Donato, Maurizio Patrignani, Claudio Squarcella. Exploring Flow Metrics in Dense Geographical Networks. In, Alexandru Telea, Andreas Kerren, Jose Braz, editors, Proceedings of the 9th International Conference on Information Visualization Theory and Applications (IVAPP-VISIGRAPP 2018), Funchal, Portugal, 27-29 January, 2018., SCITEPRESS, pages 52-61, 2018. Tiziana Calamoneri, Valentino Di Donato, Diego Mariottini, Maurizio Patrignani. Visualizing Co-Phylogenetic Reconciliations. Technical Report arXiv:1708.09691, Cornell University, 2017. Tiziana Calamoneri, Valentino Di Donato, Diego Mariottini, Maurizio Patrignani. Visualizing Co-Phylogenetic Reconciliations. In, Fabrizio Frati, Kwan-Liu Ma, editors, Proc. 25th International Symposium on Graph Drawing and Network Visualization (GD '17), Springer International Publishing, pages 334-347, 2018. Tiziana Calamoneri, Valentino Di Donato, Diego Mariottini, Maurizio Patrignani. Visualizing Reconciliations in Co-Phylogeny (Extended Abstract). In 18th Italian Conference on Theoretical Computer Science (ICTCS 2017), pages 228-232, 2017.